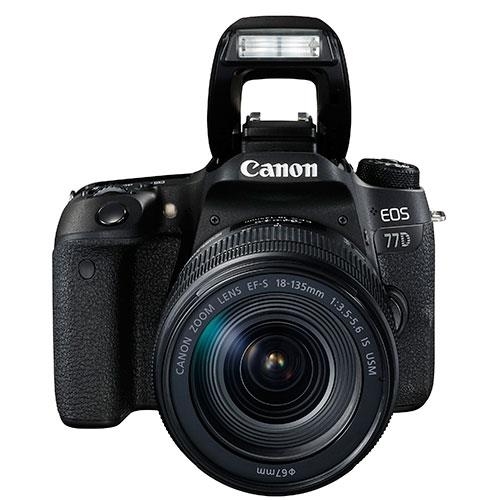 The Canon EOS 77D gives you a blend of performance and control that puts creativity at your fingertips. 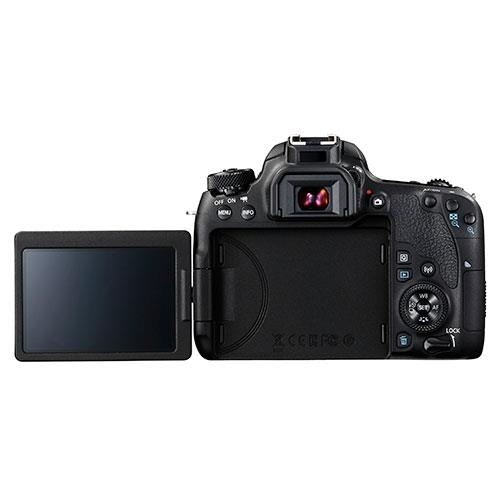 Features include a next-generation 24.2-megapixel sensor for detailed images, 45-point autofocus, 6 fps shooting, Dual Pixel CMOS AF for super-fast Live View AF performance. 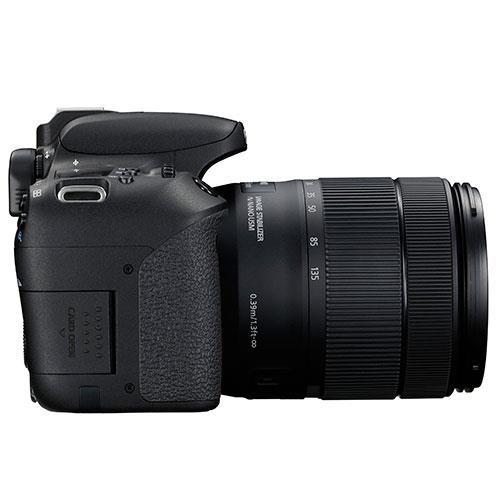 Have the confidence to explore new subjects and new ways of shooting. 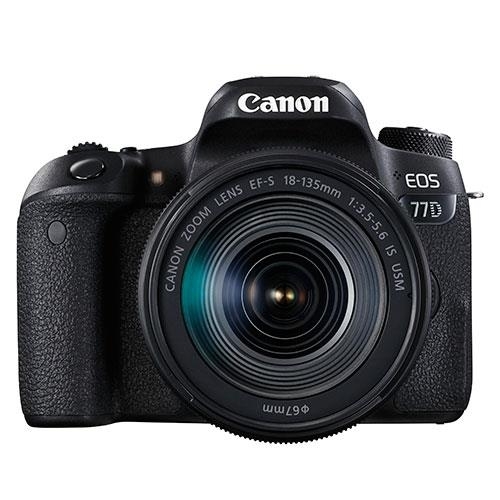 State-of-the-art 45-point autofocus delivers images that are packed with detail, and the EOS 77D can capture 24.2-megapixel images at a rate of 6 frames per second, helping you catch the briefest moments. 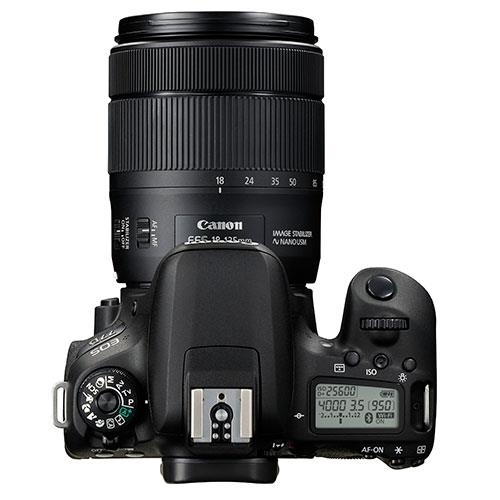 A next-generation 24.2-megapixel sensor produces images that are packed with rich details � ready for editing, cropping or display. Sophisticated exposure metering technology delivers great-looking images straight from the camera, even in complex lighting conditions. The world's fastest Live View AF performance focuses in as little as 0.03 sec, for pin-sharp results. 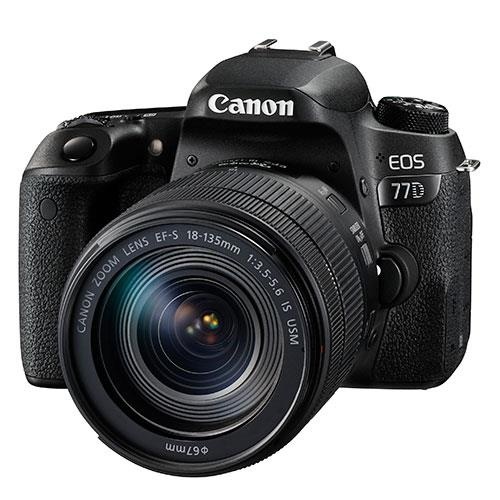 With the EOS 77D you can be every bit as creative with movies as you can with still photos. 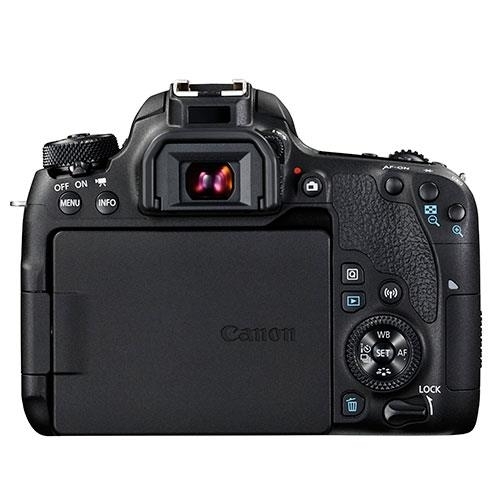 Its acclaimed Dual Pixel CMOS AF tracks moving objects without hesitation or distraction, and can smoothly refocus with a single tap of the touch screen, for professional pull-focus like effects. 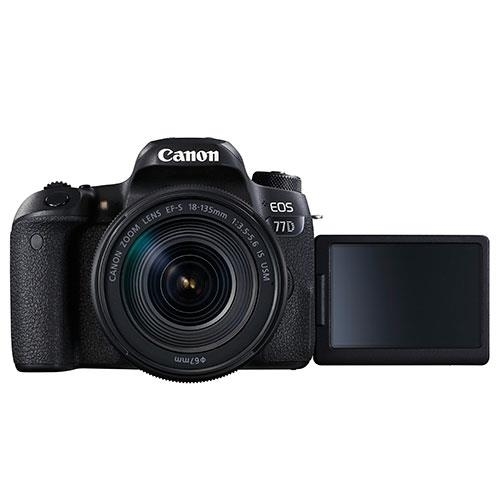 When you pick up the EOS 77D you'll notice how its controls fall naturally under your fingers, letting you change settings without taking the camera away from your eye. A Vari-angle touch screen provides smartphone-like navigation, as well as alternative shooting angles. A combination of Wi-Fi, Bluetooth® and NFC technologies lets you form wireless connections with compatible iOS and Android smart devices more easily than ever, for remote camera control. Using the Canon Camera Connect app, your device can upload images to the cloud for sharing on social networking sites.